See what other people have been making in the 1940’s Wrap Dress Gallery. Need a helping hand with your 1940’s Wrap Dress? Extra help can be found in our 1940’s Wrap Dress Sewalong! Perfect in light to medium weight woven fabrics with lots of drape, the 1940’s Wrap Dress works beautifully in crepes, heavier rayons and even cotton lawn for less experienced sewers. For inspiration and to find the perfect fabric, check out our collection of specially curated fabrics. Please note this pattern is not suitable for knits. 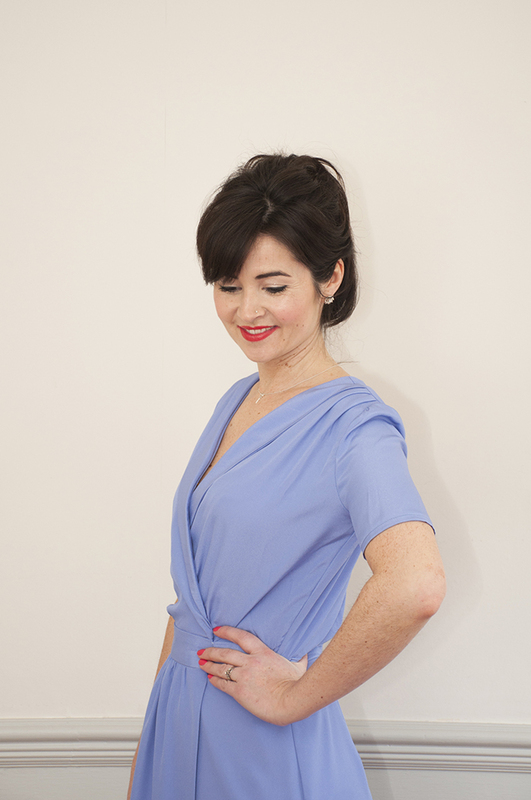 The 1940’s Wrap Dress comes in UK sizes 8-20. See the chart for details on fabric requirements. The 1940’s Wrap Dress print-at-home PDF pattern is 56 pages long.